New van Gogh sample pots - adorable! 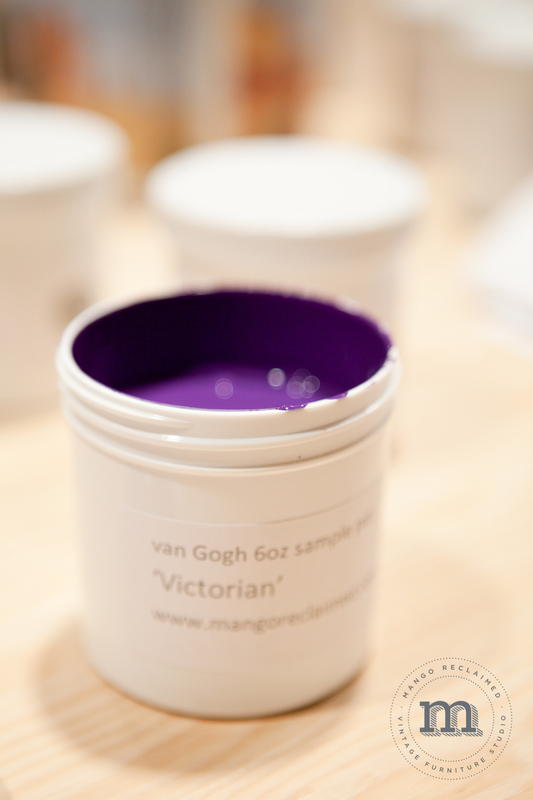 If you've been in the studio recently then you will have seen our adorable new van Gogh sample pots . . .
Aren't they cute?! Don't let there adorable size fool you - these little pots pack a punch. 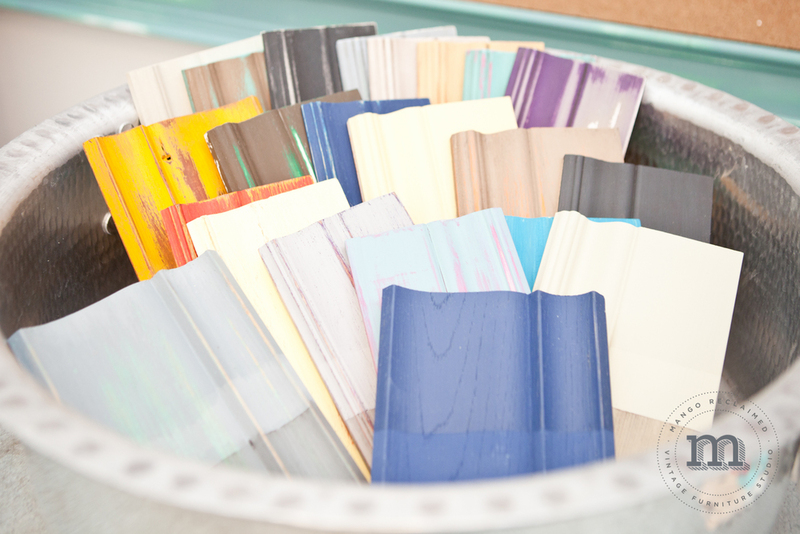 One sample pot is usually enough to paint a small table or two chairs (depending on the colour you choose). These pots are also great for adding a dash of colour to a handful of drawer fronts, or even better adding a pop of fun colour inside your drawers . . . .were talking dressers here kids. If you have a small project and were worried you might have to buy a whole quart of paint - fear no more! All of the van Gogh colours are available in this awesome size for $16.95/each. We even have our 'Table Top Finish' in these smaller pots now too. Which is really fantastic because they are the perfect size to add a really durable satin 'Table Top Finish' to any of your high traffic pieces - like table tops of course. 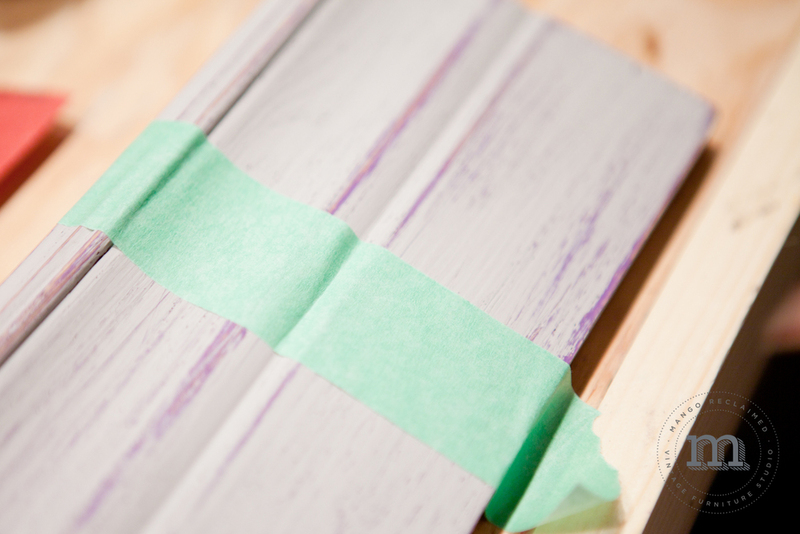 Also great for the top of a sideboard, a desk, a dresser or shelves. These handy little pots are $26.95/each. btw: did you know you can keep in the loop with us on Instagram? Right here! 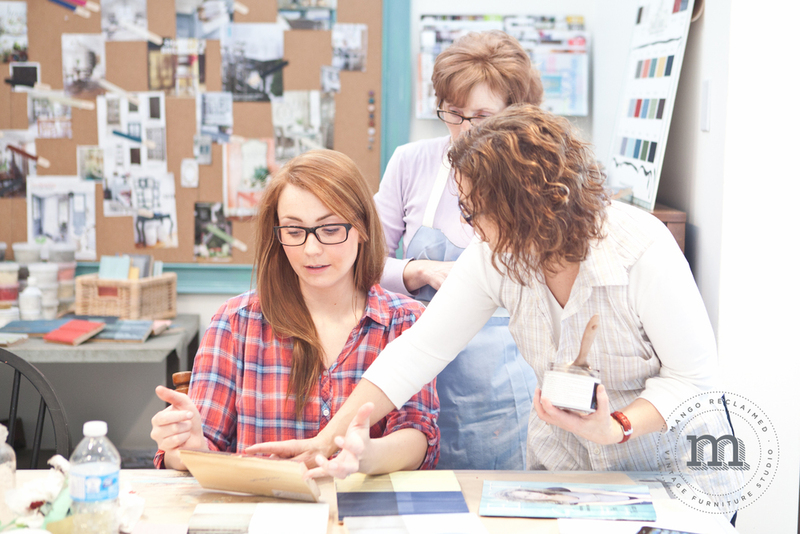 New workshop dates & the Women's Show! 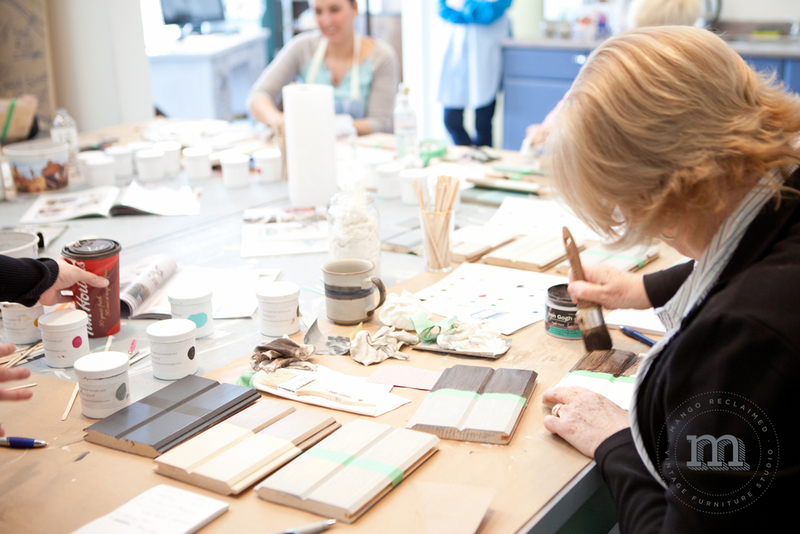 Just a quick note to let you know that I have posted new workshop dates for the summer! 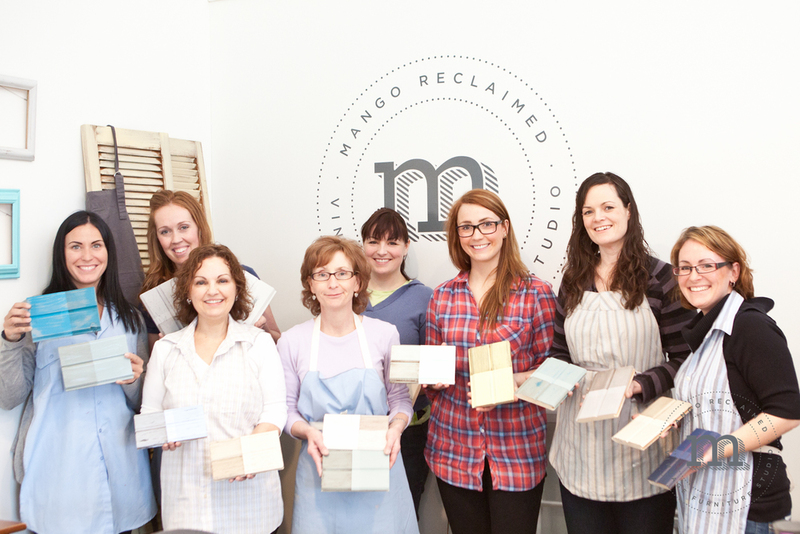 If you're interested in taking a workshop at Mango Reclaimed check out our upcoming dates here. Hope to see you there! Also! We would love for you to join us next weekend while Mango Reclaimed and The Inspiration Nest collaborate together again at the Women's Show! The Women's Show takes place at the Quality Inn at 1011 Bloor Street East in Oshawa and runs Friday June 6th from 2-8pm and Saturday June 7th from 10am-6pm. Drop by Mango Reclaimed next week if you're looking for free tickets to get in!! Our first van Gogh painting workshop was great fun! Big thanks to the enthusiastic students who signed up to 'get their hands dirty' trying out all the beautiful colours in the van Gogh collection! 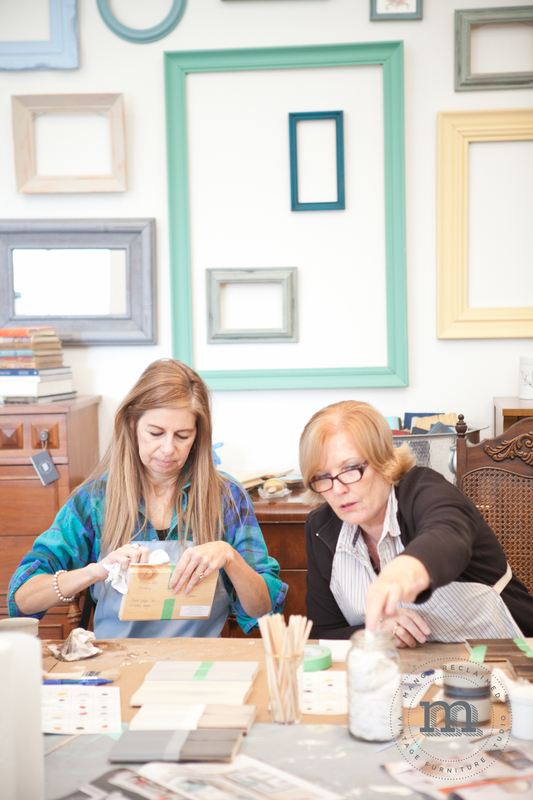 It was a cold and snowy afternoon but we talked, exchanged ideas and inspired each other in the sunny studio at Mango Reclaimed. 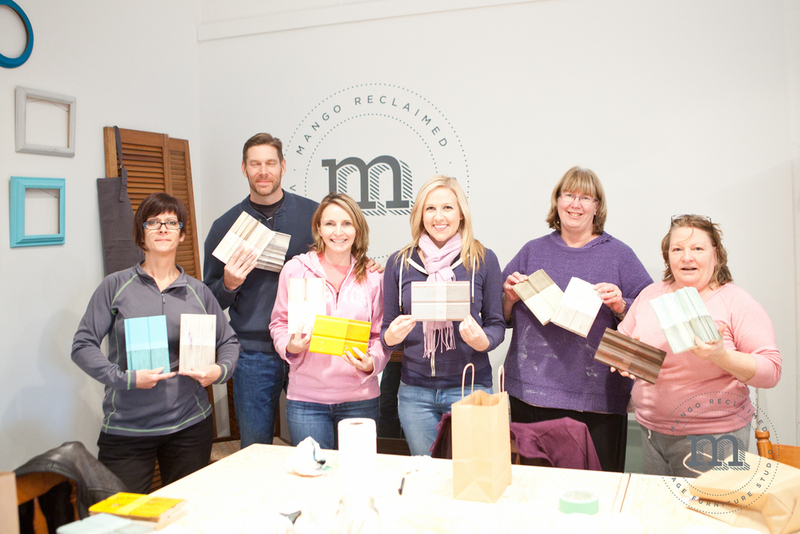 We had all the colours on hand as well as the clear and french caffeine beeswaxes so there was opportunity to try out a myriad of different colour combinations, different distressing techniques and see how the wax finish can add another layer of beauty to finished pieces. 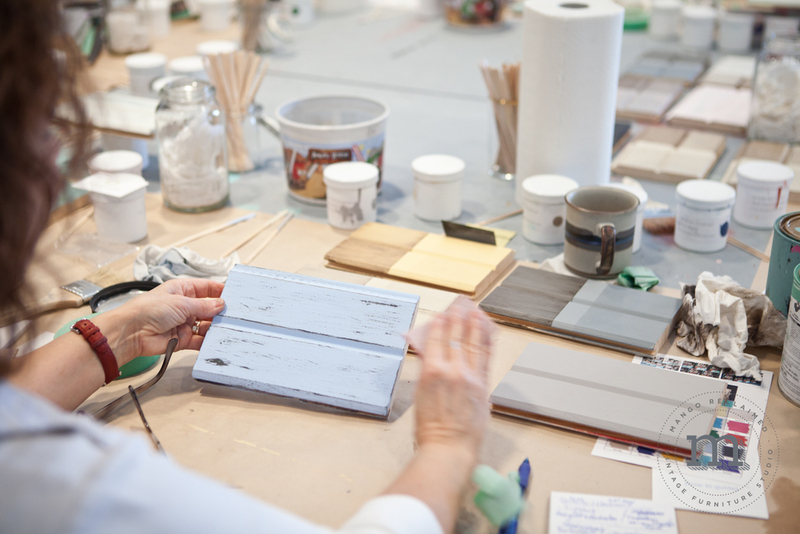 Students painted, distressed and waxed their own (provided) sample boards that they were then able to take home with them - along with the skills and confidence to paint their own furniture. 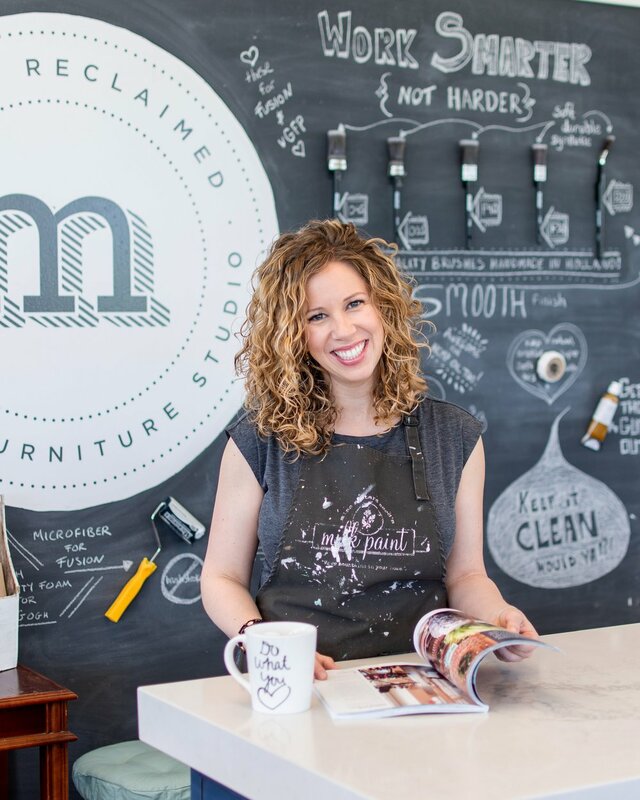 If you want to have a fun afternoon at the Mango Reclaimed studio learning about techniques to paint your own furniture - sign up for one of our upcoming workshops - can't wait to see you there! Painted mason jars & a gallery wall! 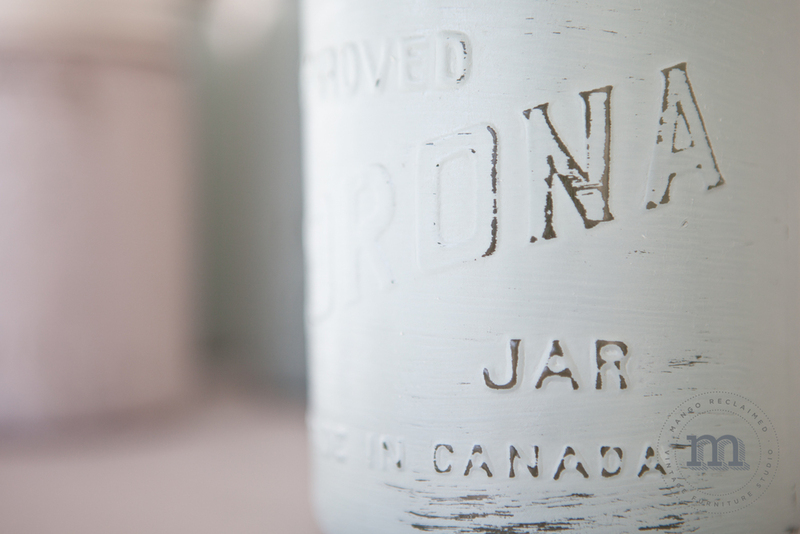 Did you know you can paint old mason jars? How beautiful are these? And super easy too!! Wouldn't they be gorgeous filled with flowers as a centerpiece, or on a kitchen counter holding wooden spoons, or in an office holding paint brushes, pens etc . 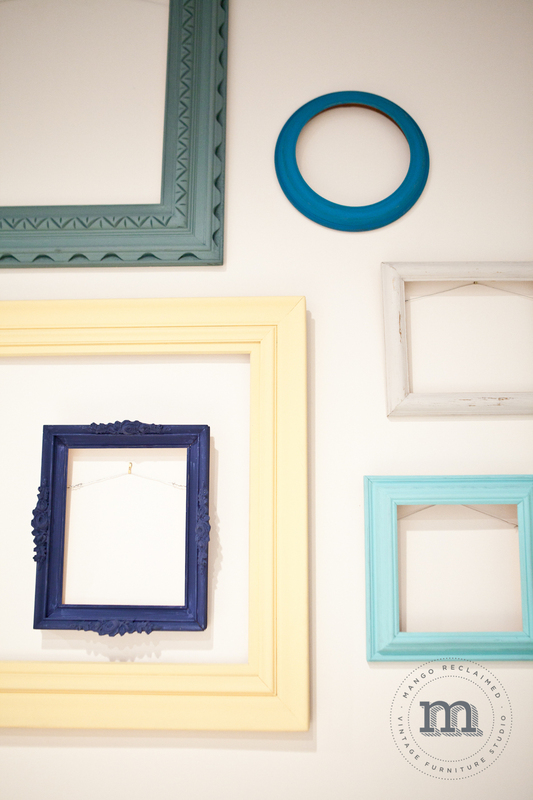 . .
Or what do you think about this playful gallery wall?? 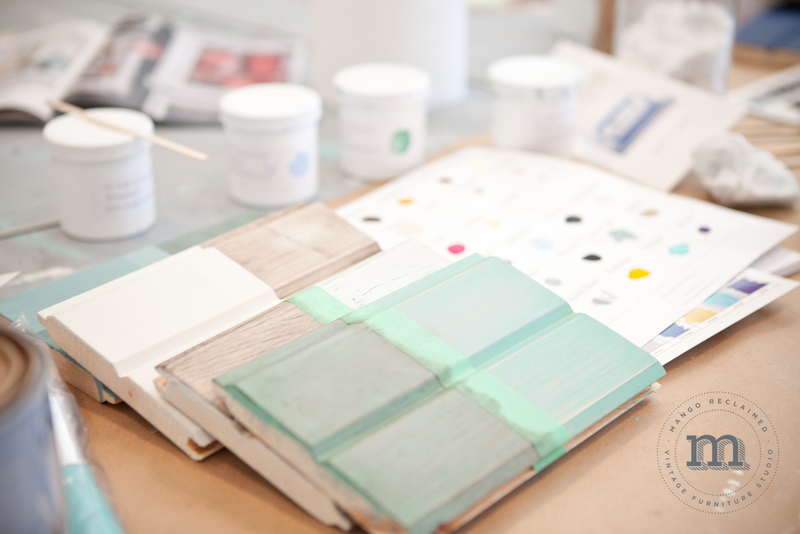 Come on out to the Mango Reclaimed studio, pick up some paint and let me share with you just how easy these DIY crafts can be! Did I mention we now have sample jars of van Gogh paint?? 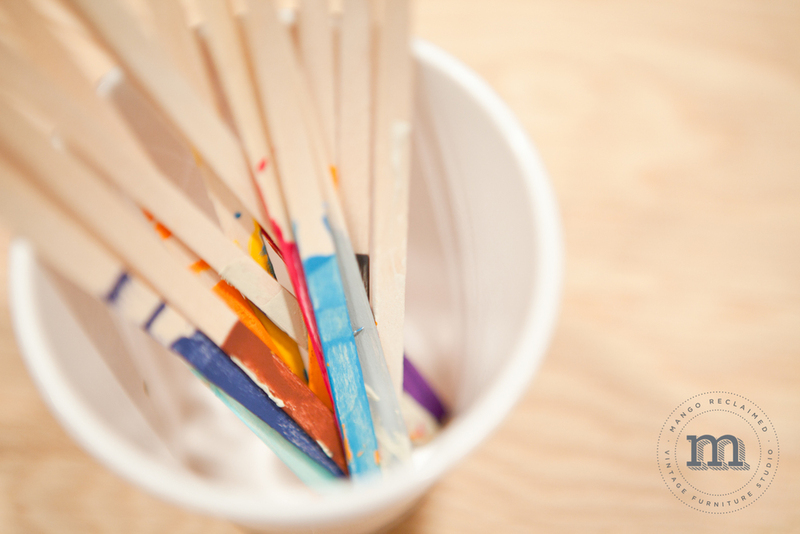 These little pots are perfect for smaller projects or to inject a beautiful pop of colour on a drawer front, or inside a cabinet . . . . 6oz sample pots are now available in any colour for just $14.95! 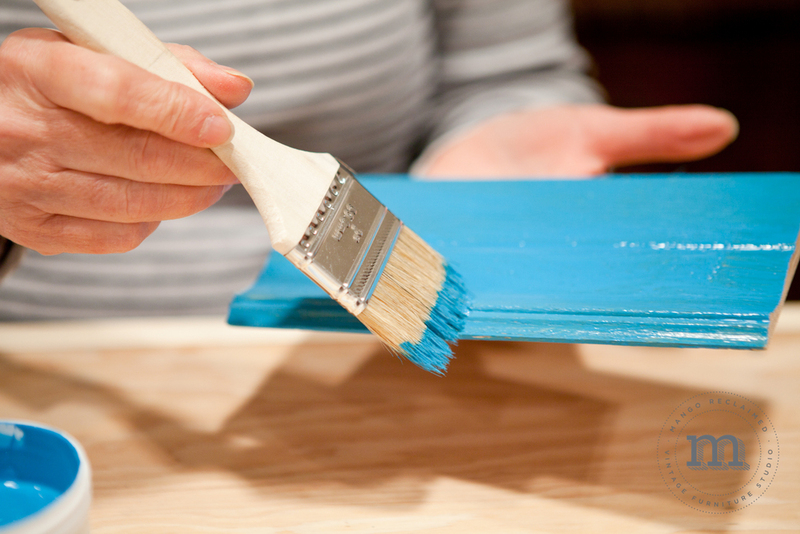 Think of all the great crafty DIY fun you could have with these! !